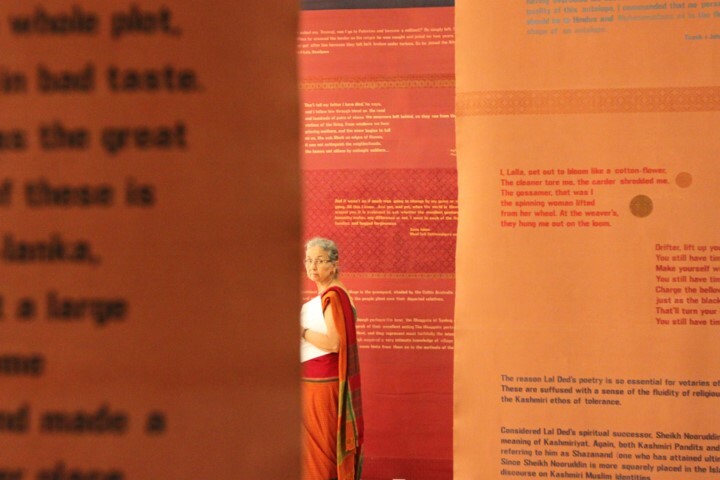 Most people of my generation from northern post-Independence India, would have stories to recall of their loss of familial home; stories about the wrench of displacement that have got distilled into family lore. My story is indeed quite different, about coining to find home in Lahore, and dates to the late 1920s. My maternal grandparents lived in Burnley in the north of England where my grandfather Naunidh Rai Dharamvir was a practicing doctor. Their home was often a resting Point for visiting nationalist Congress leaders and they were increasingly drawn into the fervor of nationalist aspirations. They were persuaded by Lala Lajpat Rai, who had just lost his mother to Tuberculosis which was rampant in South Asia, to come and set up a hospital in Lahore. So they came, to start afresh in Lahore. My mother was fourteen at the time and had to wait (im)patiently for a year to do her matriculation Privately before she could join college, and eventually study to become a doctor. She and her sister met their life partners at the King Edward Medical University. 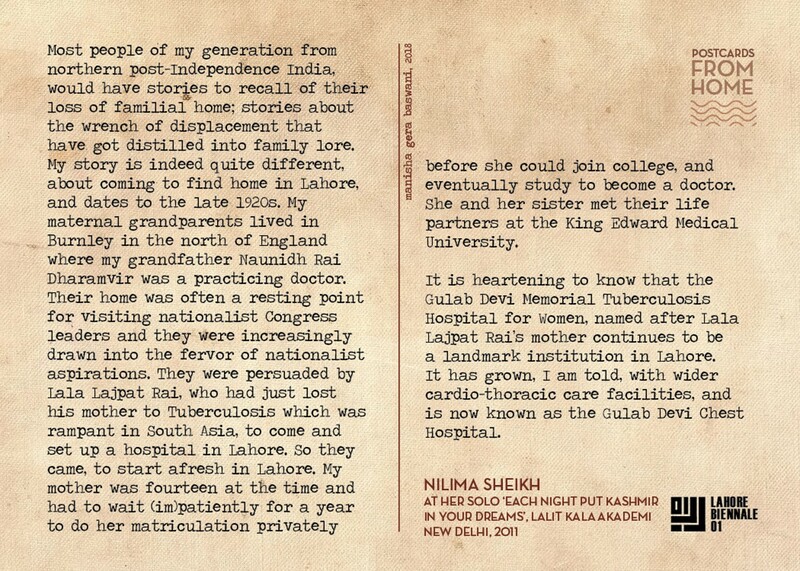 It is heartening to know that the Gulab Devi Memorial Tuberculosis Hospital for women, named after Lala Lajpat Rai’s mother continues to be a landmark institution in Lahore.It has grown, I am told, with wider cardio-thoracic care facilities, and is now known as the Gulab Devi Chest Hospital.